We woke up early to start our journey to Isfjord Radio Hotel. The light was still quite dark outside. 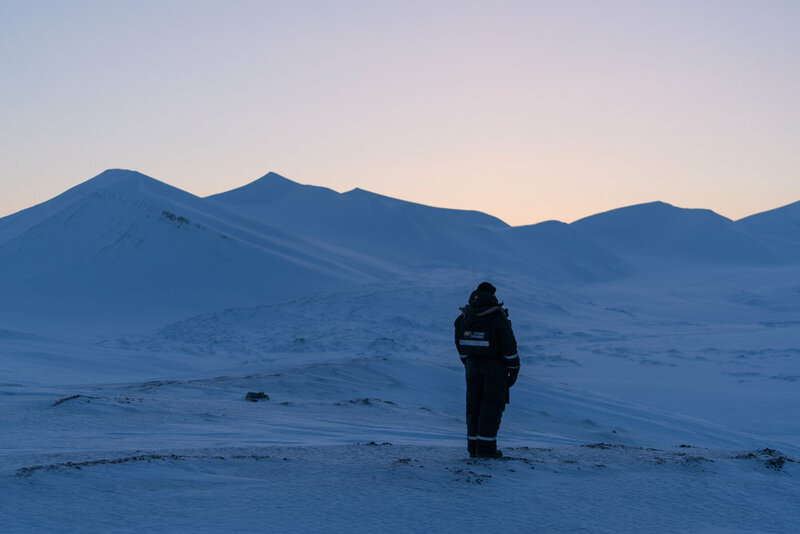 This time of year Svalbard is bathed in a soft blue light for most of the day as the sun is still under the horizon. We were there in mid-February when it transitions from four months of complete darkness to the first rays of light. The former radio station is only accessible by boat in the summer and snowmobile or dogsled in the winter. We had decided to make it a snowmobiling trip and it was just going to be the two of us and our guide Thomas. We were given several layers of clothing and loaded up our snowmobiles. Weather permitting, we would stay for two nights and return on the third. We travelled through endless hills and valleys in the Artic wilderness. We had never been anywhere so remote and untouched before. 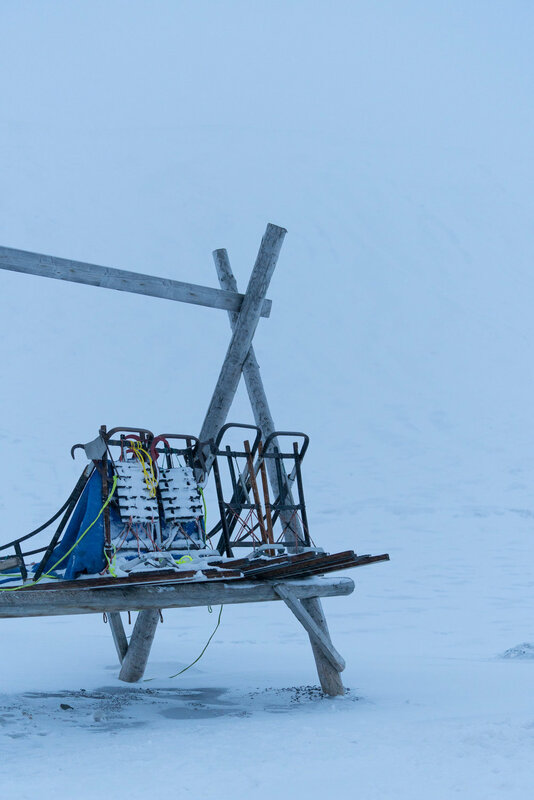 At one point, Thomas stopped and had us lie in the snow to experience the Arctic silence. 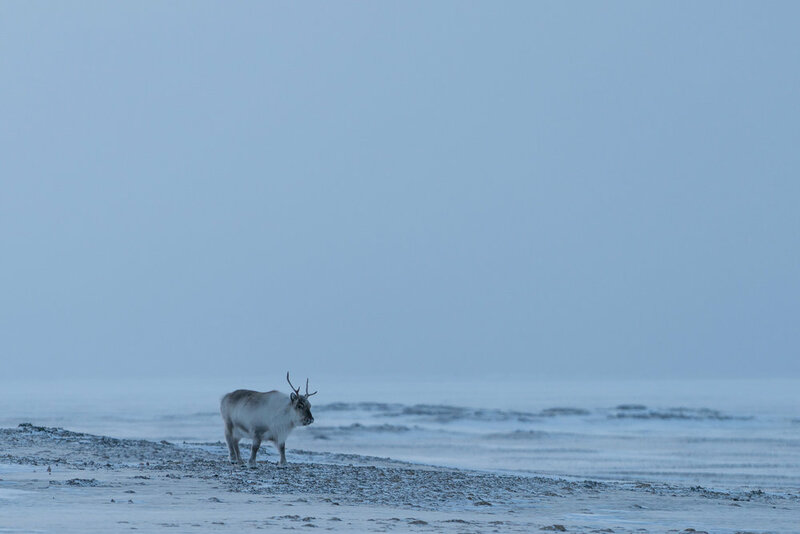 Along the way we would occasionally see Svalbard reindeer, which are shorter and stockier than their counterpart on the mainland. We even spotted a walrus on an iceberg off the shore of Grønfjorden, not far from our destination. It was dusk when we finally made it to Isfjord Radio. We were greeted with mugs of hot apple juice mixed with chilli and Calvados and given a brief overview of the place. It turned out that we were the only guests during our stay other than the owner and his business associates. Inside the shell of the old radio station, which was was established in 1933, was a well-designed boutique hotel. We stayed in a suite on the top floor that had shared bathroom facilities at the end of the hall but we basically had the whole floor to ourselves. After a full day of riding the snowmobiles, we were glad to trudge through the snow to reach the wooden sauna overlooking the sea. We were skeptical when our guide first informed us of the ritual to go for a dip in the water below after warming up in the sauna. 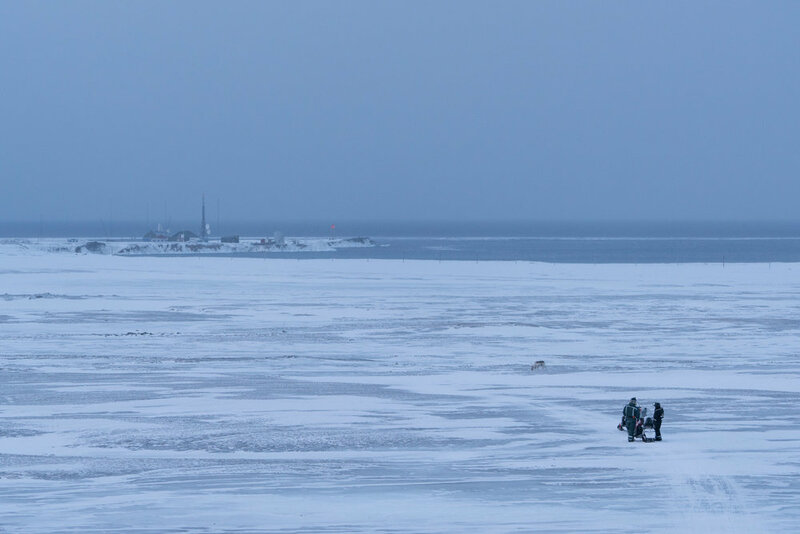 It was not possible the first night as the shore was covered in drift ice but on the second night, one of us braved the cold to walk down and take a swim in the Arctic Ocean. He did it not only once, but twice (and even has a certificate to prove it). After the sauna each night we were treated to a five-course dinner that included fresh fish and reindeer caught by one of the few remaining trappers on the island. The next day we decided to take a shorter excursion around the area surrounding the hotel. We went south along the coast which proved to be quite icy. Thomas then led us through a valley that looked as if we were the first ones to go through that season. We rejoined our route from the previous day and made our way back to the hotel. 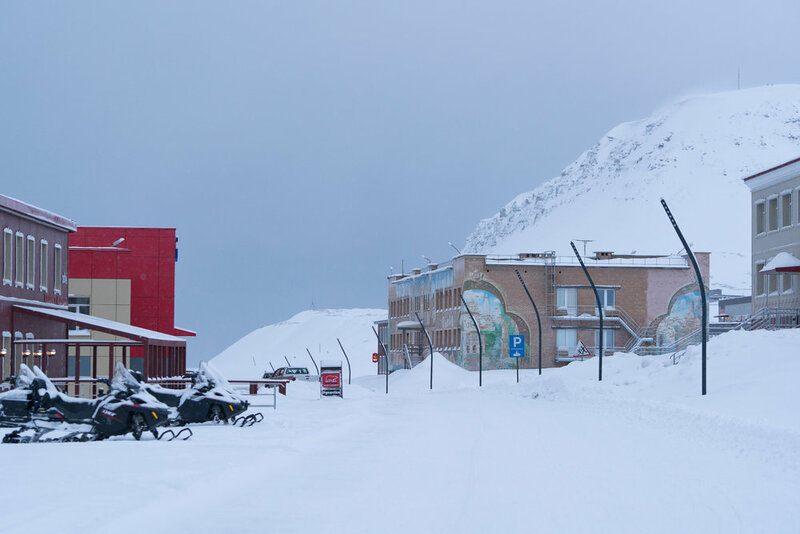 On our return trip we made a small detour to see Barentsburg, the last remaining Russian mine settlement in Svalbard. Once a thriving coal mining town, the population has dwindled to 500 residents as of late. There is a hotel, a few restaurants, a cinema, a school and the Russian consulate. The buildings belong to another era and the whole town feels stuck in time of the former Soviet Union. One of the two northernmost Lenin statues remain here (the other in the abandoned Russian mine Pyramiden). After a short break and lunch we continued on our way. The weather conditions were not as good on our last day. For most of the trip we had snow and low visibility. We were told to follow close and to not lose sight of the driver in front of us. For some periods, we could literally not see anything around us and it was impossible to tell if we were going up a mountain or down to the bottom of a valley. Thomas was relying solely on GPS to drive us through the white-out. At the beginning of every season, the guides go out on a day with good conditions to map out the routes and ensure they are safe. After driving for eight hours we finally made it back to Longyearbyen. 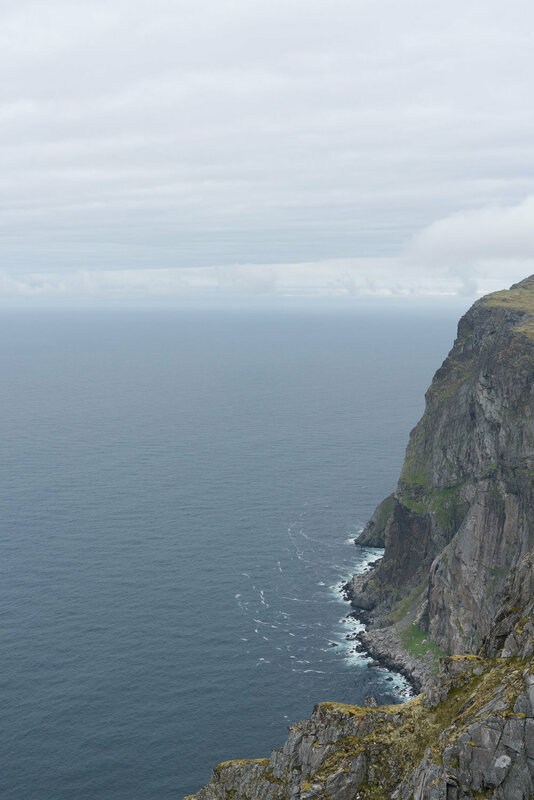 In total, we travelled 250 kilometres on our three-day Isfjord Radio trip. It was an adventure that we will not forget. This is the furthest north we will ever go. Halfway between Norway and the North Pole, Svalbard is the northernmost inhabited place in the world. Although a part of Norway since 1925, anyone can live and work here. 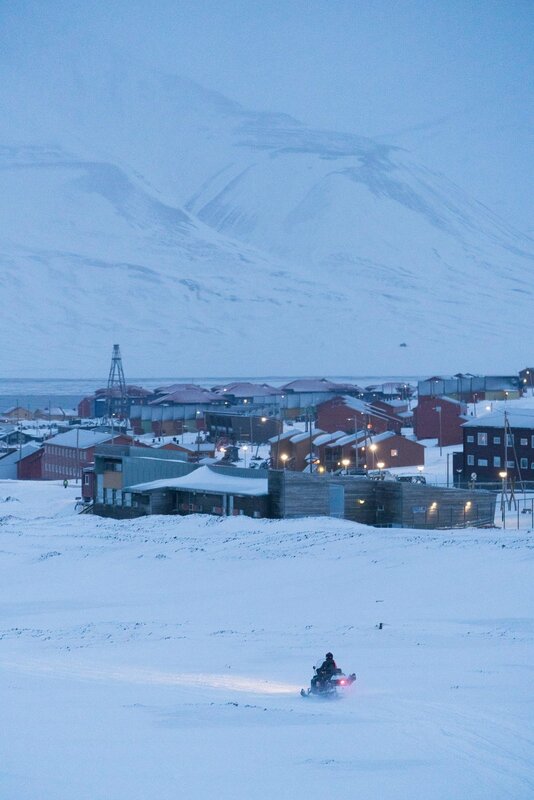 Longyearbyen is the main settlement and is located on the largest island of Spitsbergen. There are a few other small research stations and mine settlements but not much else. Polar bears outnumber people on the archipelago. In fact, is is illegal to go beyond the town of Longyearbyen without a gun or a guide who has one in case of an encounter. There are no roads outside of settlements so there are only two modes of transportation in the winter; snowmobiling and dogsledding. The first day we went on an eight-hour snowmobile trip to Tempelfjorden. We drove through valleys and onto the frozen fjord to reach our destination. At -35 degrees Celsius with wind chill, it was a very cold but clear day and we had amazing views of the glaciers and mountains. 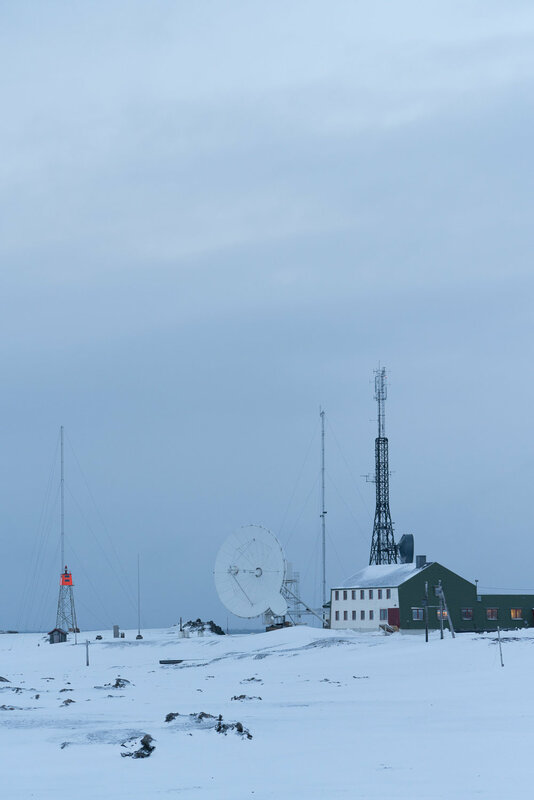 The next two nights were spent at the remote Isfjord Radio Hotel. It was another 100 kilometre trip each way on the snowmobile. The terrain was much more difficult than the day before but when we arrived at Isfjord it was all worth it. 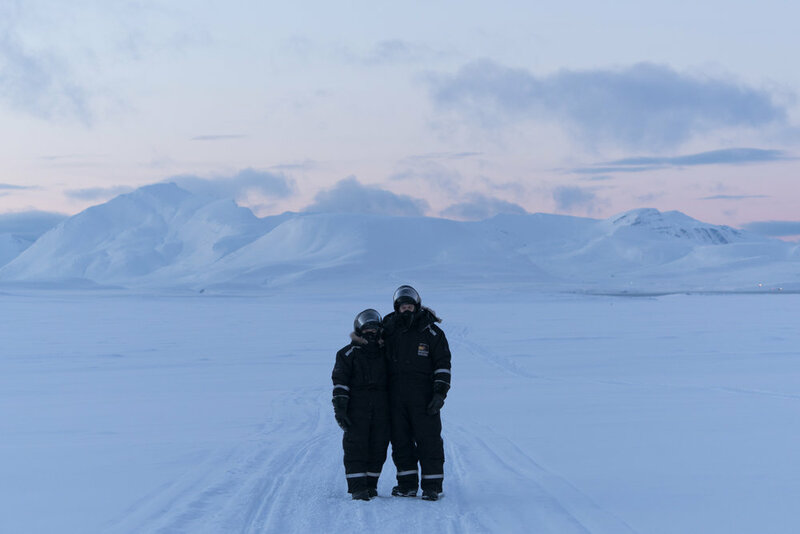 When we got back to Longyearbyen, we took a break from the snowmobile and went dogsledding. Unfortunately, due to avalanche risk we did not get a chance to go ice caving but it was still a nice day out with the dogs. Our last day was spent exploring Longyearbyen. There are a few museums and shops around town. There is even a brewery which started production in 2015. Before Svalbard Bryggeri, it was illegal to produce alcohol in Svalbard. We went for a tour and tasting of the northernmost beer. Lastly, we stopped by the Global Seed Vault, the world’s largest seed bank to safeguard against future loss of seeds due to war or global warming. 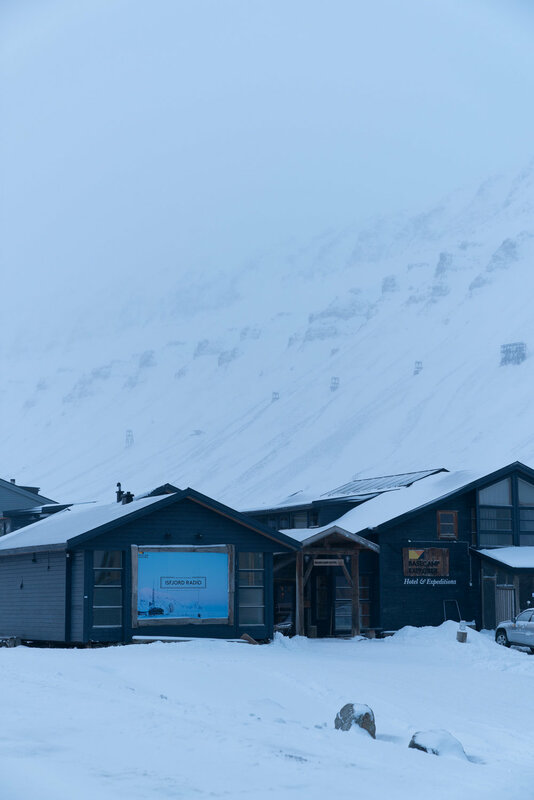 There are surpassingly quite a few good restaurants in Longyearbyen given its remote location. 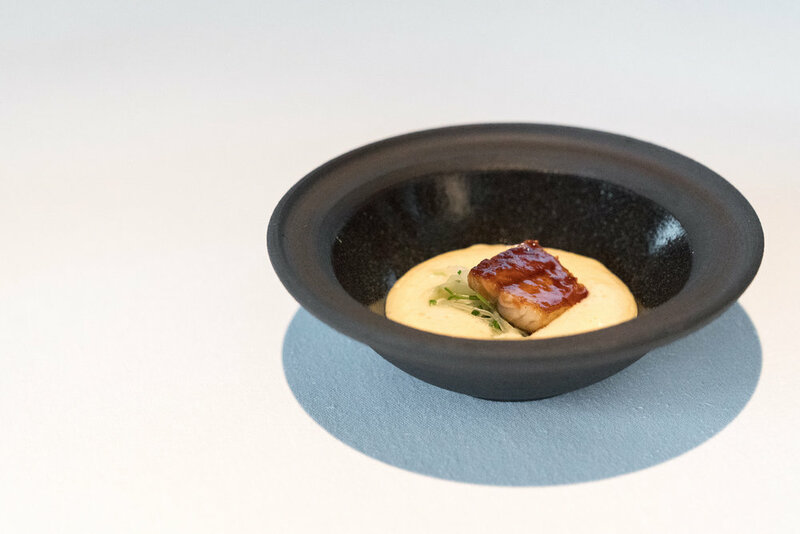 In particular, there are two restaurants housed in historic buildings that serve tasting menus which reflect the local food sources and ingredients. 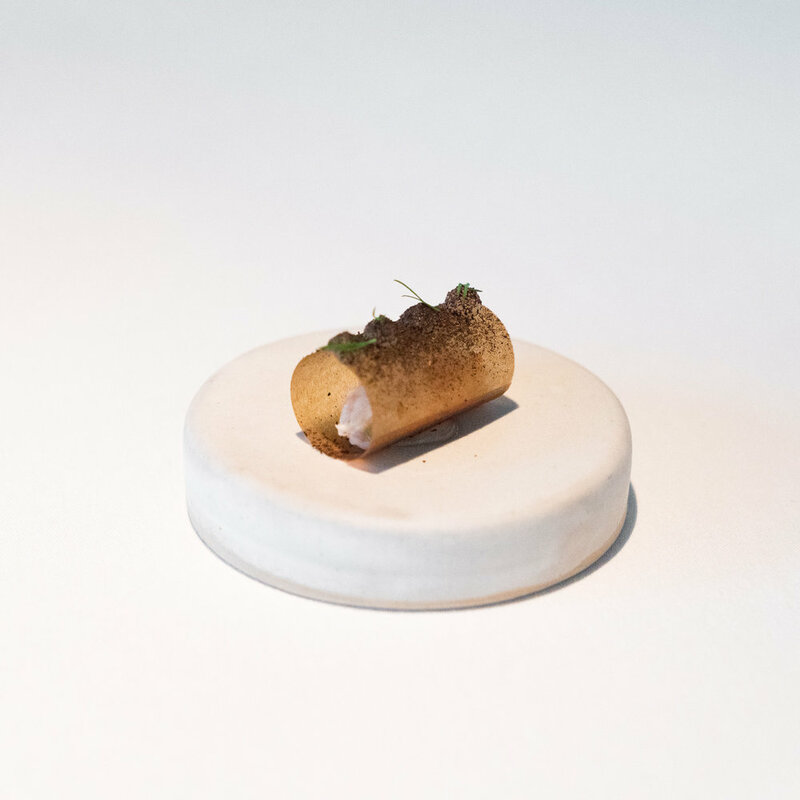 Maaemo is an Old Norse word meaning ‘Mother Earth’. It is also the name of a restaurant in Oslo which focuses on the flavours and nature of Norway. It only uses organic or wild produce from the country. The tasting menu consists of over twenty dishes and we also opted for the juice pairings. It was an amazing meal and one of our favourite dining experiences. The Lofoten Islands are located in the north of Norway. Comprising of five main islands, we started at the southernmost village of Å on Moskenesøya and worked our way to Svolvær on Austvågøya, the largest city and capital of the archipelago. Little fishing villages are scattered along the route; the most photogenic being Reine, Sakrisøy, Hamnøy, Nusfjord and Henningsvær. We happened to be in Lofoten during the midnight sun, a natural phenomenon when the sun does not set for the entire day. This only occurs near the Arctic and Antarctic Circles during the summer months. It was surreal to be driving at two in the morning with the sky still lit up. 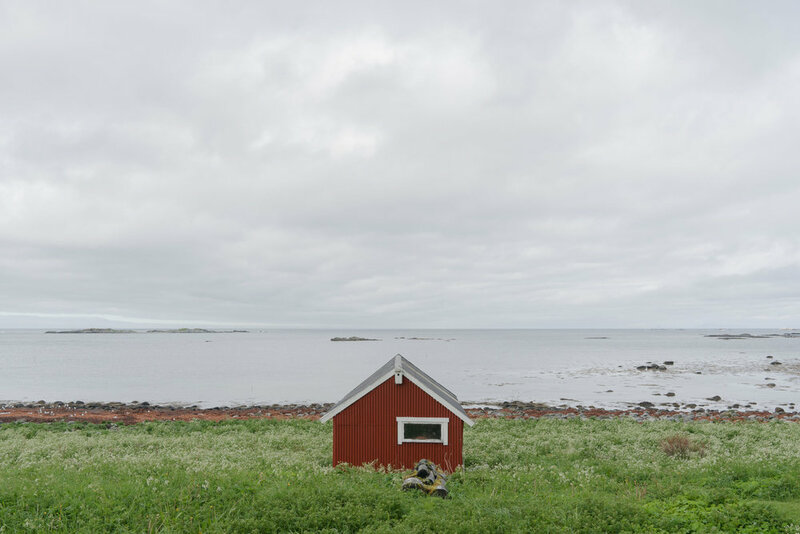 A unique Lofoten experience is staying in a rorbu — one of the traditional fishing cabins built half on land and half on water. Our cabin in Reine was #20 (Steinbua) at the Reine Rorbuer. Inside were two bedrooms and a large kitchen area with our own fireplace. Food on Lofoten unsurprisingly consists mainly of all things fish: fish soup, stockfish, clipfish, cod, cod tongues, etc. Every winter, they hang the cod on wooden racks to dry. By the time we arrived in mid-June, the fisherman had already begun taking the stockfish down. Anita's Sjømat sells great fish sandwiches with salmon and/or shrimp. It is also a road-side general store that stocks a variety of seafood and local food products. In Henningsvær, we had a refined dinner at Fiskekrogen which was a bit of a mix of classic and new Norwegian cuisine.